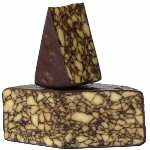 Windsor Red is a pale cream cheddar cheese marbled with a mix of port and brandy, creating an interesting colored cheese. Cheese and port or brandy and a good combination and logically this cheese is communicating this. 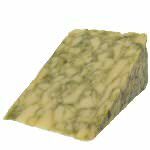 When you think about the color, would this cheese not look great mixed in a green salad or just on a plate of plain colored cheeses. 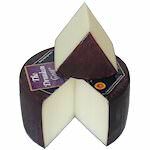 We cut and wrap this cheese in wedges of 1 pound or 8 ounces. 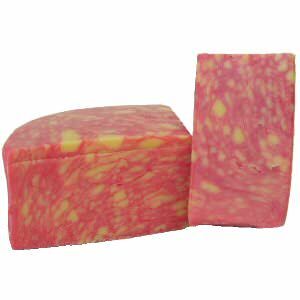 Ingredients: Mild cheddar (pasteurized cow's milk, salt, dairy cultures, vegetarian rennet), port, brandy, cochineal as a color.